What’s so good about Mind Movies Matrix? 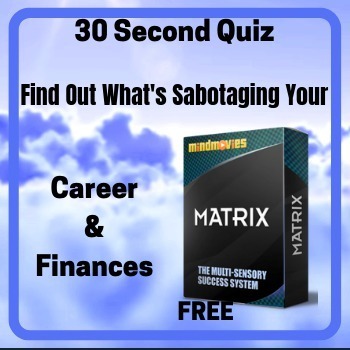 Mind Movies Matrix is like Downloading Success Habits Directly Into Your Brain. I’m sure you know of people who seem to have been born under a lucky star. It doesn’t matter what they do, success always follows them. They don’t even try & everything just, more or less, falls in their lap. Lucky or What!!! Actually, you can learn to be one of those lucky people. 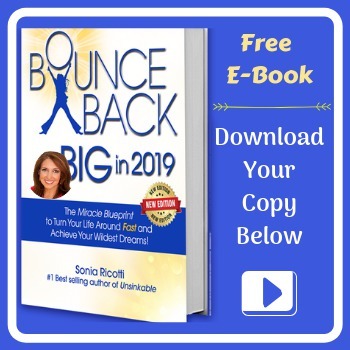 The company, Mind Movies, once said, “Why wish you could be as lucky as your friend when you can learn how to attract that same success.” Like I said earlier, Natalie, the owner of Mind Movies Matrix, describes the program as Downloading Success Habits Directly Into Your Brain. 1. What Is Mind Movies Matrix? 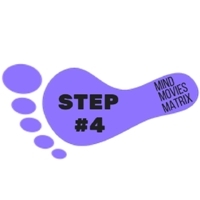 WHAT IS MIND MOVIES MATRIX? 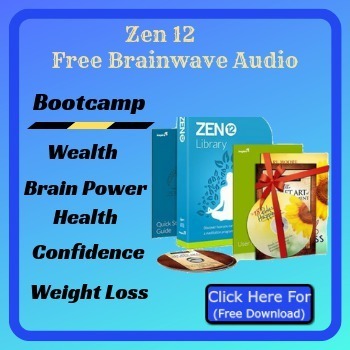 ■ Empowers your brain to wake up & start working towards the life you want. Are you to a point where you just don’t know why you never seem to have any success or wealth? Does it seem like no matter how hard you try you never get ahead? 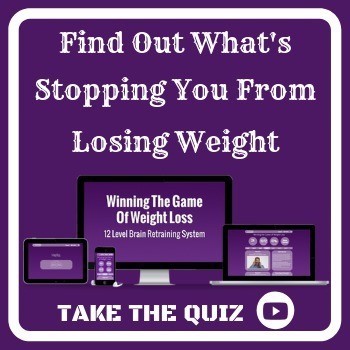 Take Natalie’s Quiz below to find out what’s causing it. Her quiz might be simple, but it’s an accurate 30-second quiz] to help pinpoint what’s sabotaging your success and abundance. 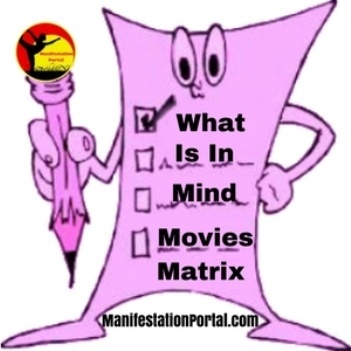 WHAT IS INCLUDED IN MIND MOVIES MATRIX? You’ll find the following in Mind Movies Matrix. Each of the above movies is 3 minutes long. You don’t have to watch each one for 3 minutes. You start by picking the area of your life that you want to improve the most. That’s the one you watch for 3 minutes a day. You can pick more than one if you want. 2. Also included is 4 pre-made Subliminal Success Mind Movies. Once again, they cover the different areas of your life. You pick the same one you did for Step #1. This one you listen to later on in the day. 3. You also get four Subliminal Success Audios that cover the above 4 areas I mentioned. This is a 60-minute audio that you can listen to without headsets any time during the day. It’s not necessary to listen to it everyday. I usually listen to mine when I’m on my computer. 4. 2 sleep meditation audios. One is guided meditation. You’ll hear a soothing voice guide your thoughts as you fall asleep. The other one is just with Brain Entrainment. They’re both 30 minutes long. You can pick which one you like the best. It doesn’t matter if you fall asleep before it’s finished. 5. 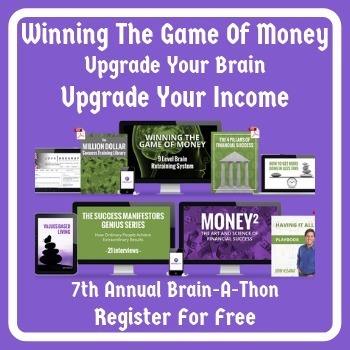 The Subliminal Success Accelerator is free for one year. As a SSA member, you can ask Natalie for help as often as you want for one year. You also get to listen to coaching calls between Natalie Ledwell & personal development gurus every month. Also, as Subliminal Success Accelerator (SSA) Member you’ll receive a new subliminal audio created by Morry Zelcovitch, once a month. You also receive a monthly mini magazine with a motivational article & a mind movies subliminal to play in the background of your computer. 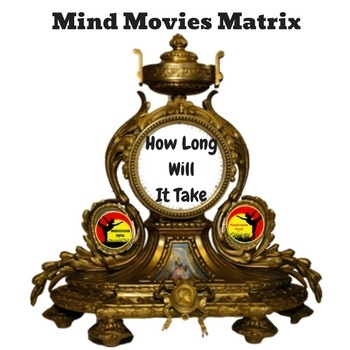 The price of Mind Movies Matrix is $297 (one-time payment) OR $179 x 2 (split-pay option). With all that you get, it was well worth it for me. It does have a 60-day money back guarantee. Keep in mind, this program only works if you follow the instructions. 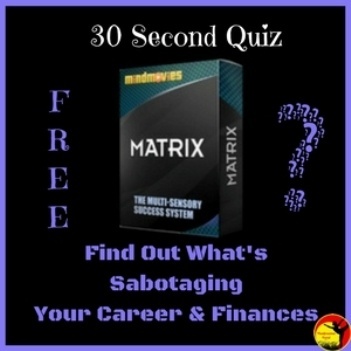 IS MIND MOVIE MATRIX A SCAM? If this program was a scam, they wouldn’t have spent over two years producing it. They definitely wouldn’t have hired Morry Zelcovitch. Morry is a certified Brainwave Entrainment Engineer. In fact, he was hired by the Brazilian Government once to train their military police. It uses Brain Entrainment to physically re-balance your brain. Mind Movie Matrix combines brainwave entertainment sounds with visuals and subconscious suggestions. It conditions your mind to automatically see all sorts of opportunities for success in every area of your life. It also helps you to attract those things you see & think about. Even more important, it keeps you focused & motivated. For success, you have to listen & watch one of the mind movies every morning (with a headset on). You can listen to more than one, if you have time. Each movie runs for about 3 minutes. If you’ve used the excuse you don’t have time, you definitely can’t say you don’t have 3 extra minutes in the morning. There’s another movie to listen to later on in the day. It lasts for 3 minutes too. The movie is embedded with more than 1 million positive subliminal messages. They’re undetected by the conscious mind because of their high-frequency speed. Here again, it’s bypassing the conscious mind & going directly to training your subconscious mind. (don’t need headsets on for this one). Natalie recommends that you listen to it not long before you go to sleep. Then, there’s the 60-minute subliminal audio to listen too. (don’t need a headset for this one either). The good news is, you don’t have to listen to it every day. For example, in the money audio, all you hear are nature sounds like rain coming down. Listening to it 2 or 3 times a week is fine. What’s the benefit of this? It’ll be subliminally re-programming your mind for success. It’s actually for a little extra boost when you feel you need it. The instructions I have below, tell you how to pick what Movie to watch & how each Mind Matrix Movie will help to accelerate your success. There are 4 areas of your life you can work on. Take a look at all of them. Pick the one you think would improve your life the most. A lot of people choose the money one. That’s where I started. You can pick more than one if you want. Just make sure you have time for it. This movie only takes 3 minutes. Grab your tablet or iPad & go someplace where you won’t be interrupted. Put your headsets on — watch — and — listen. What Are The Benefits Of Mind Movies Matrix? This Matrix Movie has Brainwave Entertainment embedded into it. The movie itself contains subliminal suggestions. These sounds & visuals are imprinted into your subconscious. This method is more successful as it bypasses your conscious mind. It’s your Conscious mind that comes up with all the excuses why you can’t do something. Excuses like you don’t have time. You listen to one of the Subliminal Matrix Movies at night. It’s also 3 minutes. This movie is different from the one you watch in the morning. The Brainwave Entrainment sounds are replaced with upbeat music. There’s also millions of powerful affirmations embedded into the movie to help speed up your success. 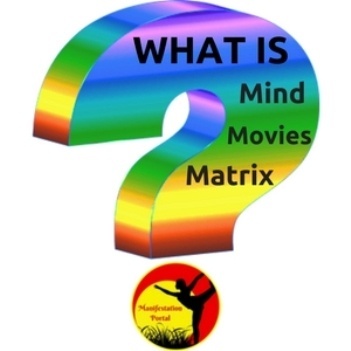 What Are The Benefits Of Subliminals In Mind Movies Matrix? The subliminal suggestions can’t be stopped by your conscious mind. 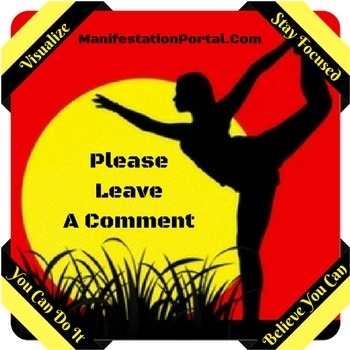 These thousands of powerful affirmations get deposited directly into your subconscious. It’s your subconscious that has the power & capabilities to help manifest your dreams. Remember, it’s your conscious mind that causes you to doubt yourself. The upbeat music helps to give you the energy & determination you need to stay focused & motivated to go after what you want. There’s a 60-minute Subliminal Audio to listen too without headsets. Like I said earlier, you don’t have to listen to it every day. I listened to mine about twice a week. Most of the time I had it playing in the background of my computer. After awhile I didn’t even hear it but my subconscious mind did. What Are The Benefits Of Suliminal Audios? The Subliminal Audios help to boost your mood, accelerate you manifestation power & keep your thoughts positive. It helps keep your motivational level running in high gear. It also helps you focus on what you’re trying to manifest. If you’re not motivated to get something done, you usually don’t finish it. To be successful at anything, it’s imperative to stay highly motivated & focused. In other words, the more motivated & focused you are on your goal, the sooner you’ll turn that goal into reality. For this audio, you can either listen to the guided version or the non-guided version. It’s your choice. They’re embedded with powerful subliminal messages run at optimal frequency for a great nights sleep. The sleep meditation runs for about 30 minutes. What Are The Benefits Of Sleep Meditation Audios? The Sleep Audios help to prepare your mind for a good nights sleep. They give you the inspiration you need to succeed. They also increase your energy & drive to achieve the goal you want. All this is done while you’re sleeping. It doesn’t get much easier than that. I’m the type of person that loses motivation & determination easily. It’s not unusual for me to get negative thoughts like, “This is never going to work.” Mind Movies Matrix helps put a stop to thinking like that. The constant reminder I get watching the movie, twice a day, helps to keep my determination level soaring. The upbeat music puts me on an emotional high & keeps me motivated & focused. I love the fact that they’re only 3 minutes long. I can always manage to get in two 3 minutes session a day. I’m sure you have days where you have next to no spare time too. You can usually find some place to go where you know you won’t be interrupted for 3 minutes. The 60-minute audios are relaxing to listen to. The good thing is, you don’t have to be sitting in one spot with headsets on. I find them to be very calming. Also, I find ideas seem to pop up out of nowhere. It did help me to think clearer & stay focused. To be honest, staying focused is something that has always been tough for me. To be successful in life, it’s pretty important to stay focused on your dream. The sleep meditation audio, I’m sure, would help anyone get a good nights sleep. I’ve never had a problem sleeping so I’m just guessing here. If you have difficulty sleeping & try the program, let me know if it helped you. The good thing is, there is a 60 Day Money Back Guarantee. If you follow it, step by step, I’d be totally shocked if it didn’t work. If you would like more information on what a mind movie is about, click the link below. I did a detailed review on it. I did have problems with the 60-minute audio. I managed to listen to it a couple of times a week. I usually had it playing in the background of my computer when I was on it. Every once in awhile, I went out for an hours walk in the park. I had it playing on my phone. Sometimes I would have it playing while I was doing my dusting in the house. The only other thing I didn’t like was that you only get free access to the Silent Subliminal Accelerator Support System for one year. After that, it will cost you $37 a month. I know you get a lot for $37 & you couldn’t expect them to give it to you for nothing but still it’s an extra expense. The program works fine. It’s really not necessary to pay the 37 a month. Remember this program only works if you follow the steps. If you’ve tried Mind Movies Matrix, leave a comment below. Let us know what your goal was, how you incorporated all the steps into your day & how long it took for you to accomplish your goal. If you have any negative things about the program, let us know about that too. Thanks for reading my Mind Movies Matrix Review. There’s a few ways you can do it. If you don’t want the app you can try one of the following. 1. Log into your Matrix account. You should see an icon that says, “download instructions” Click on that & follow along. I would start there first. 2.You can download each Video or audio separately. Just click on the icon you want. For example, if you want the ones on money, click on the money icon. It will then ask you if you want to download it to you computer, your mac or your mobile device. Click on whichever one would be best for you. You’ll then have to click on where you want it sent. I usually send it to my desk top. Depending on what type of computer you have, the list of places you can send it to are on the left hand side of your screen. 3. If you still don’t understand how to download it, contact them. The link is: http://www.mindmovies.com/contact.php Just tell them you don’t understand how to do it. I’m a subscriber to mind movies matrix, and will be grateful to know how I can download the package onto my pc. I’m not sure if you’ve purchased Mind Movies or Mind Movies Matrix by Natalie Ledwell. Whichever one you’re using, both programs will help to retrain your brain to keep you motivated, focused, & to give you encouragement. Since your goal is to lose weight, you also have to incorporate eating healthy, exercising, cutting calories, etc. By all means, contact Natalie Ledwell. She’s great at coming up with suggestions to help people on their road to success. In my opinion, if you cut calories, eat healthy, exercise & follow Natalie’s program, you should be losing a bit of weight each week. If you need a little extra help with counting calories, there’s a free program called, https://www.myfitnesspal.com/ It’s 100% free & it’s fantastic. I use their free version when I gain a bit of weight & want to get rid of it. All the best to you on your journey, Joanne. How long does it take to lose weight? I’m doing everything 4x as much as recommend.